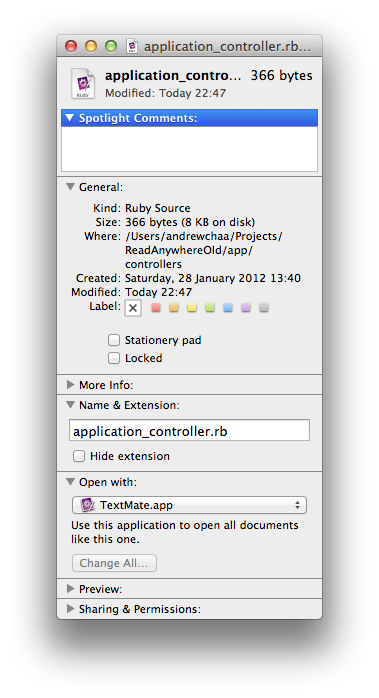 Since I installed xcode, all my ruby files (.rb) opens in xcode by default. I much prefer textmate. Right click to display the context menu and select "Get Info"
In "Open with:" section, you can change the default application. Don't forget "Change All..." to save the change.